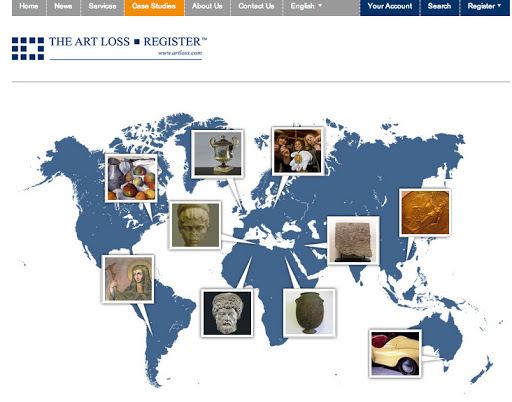 The Art Loss Register (ALR) has become synonymous with due diligence in the art parley. Dealers, museums, collectors, insurance companies, all who consider investing in art works are expected de facto to inquire about the origins of the objects they are buying, just to make sure they are not stolen and title will pass to the buyer. 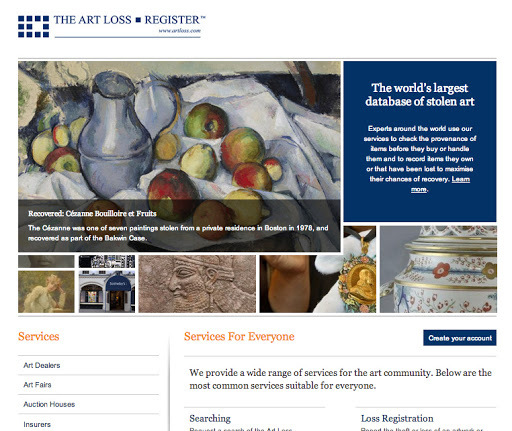 According to the organizations website, the ALR operates “the world’s largest private database of lost and stolen art, antiques and collectables.” With the wealth of information in the said database, the ALR provides invaluable service to insurance companies and buyers as the first point of search for provenance of works. The ALR was established in London in 1991, it evolved from an art theft archive established by the International Foundation for Art Research to deter market transactions in stolen art. Funding for the ALR came from various shareholders, include members of the insurance industry and art market, such as the leading auction houses. The services provided by the ALR include stolen “item registration, search and recovery services to collectors, the art trade, insurers and worldwide law enforcement agencies.” The ALR staff attends art fairs and reviews auction catalogs in order to identify stolen works that have been reported by their rightful owners. The ALR encourage registration of valuable items and registration of stolen items to facilitate recovery. The ALR publishes its recovery successes in an newsletters; over the last decade it has helped recover numerous objects ranging from jewelry to paintings and antiquities. The recent recovery success story is related to stolen jewels of the Duchess of Argyll. Six years after they disappeared, the ALR worked with a private dealer-consignor, auction house and insurance companies to recovery the pieces when they were offered for sale in 2012. The ALR employs art historians and attorneys, including Christopher A. Marinello, who specialize in recovering stolen, looted and missing works of art. **Note: Periodically, we publish brief articles about organizations that play an important role in the sphere of law and the arts. If you would like to propose an organization for this column, please contact itsartlawATgmailDOTcom.